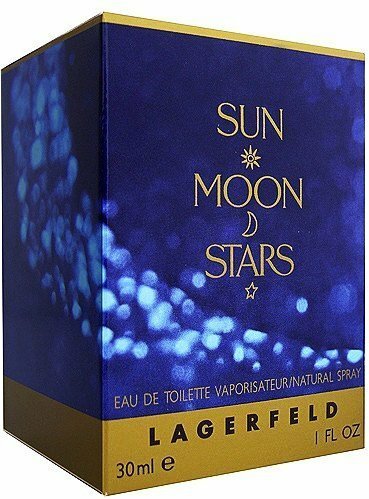 Sun Moon Stars (Eau de Toilette) is a perfume by Lagerfeld for women and was released in 1994. The scent is floral-oriental. It was last marketed by Elizabeth Arden. My evergreen, my feel-good fragrance, my return fragrance - all this and much more is Sun Moon Stars by Karl Lagerfeld for me. I am not one of those who can always sniff out the individual scent components, but the overall composition is simply a pleasantly soft, velvety powdery, cloud-like and yet woody-warm snuggling up for me. Not too heavy, not too sweet, not too powdery, not too fruity, but just the right combination of everything. A fragrance that has also made other noses sniff again and again and which is timeless for me. A wonderful legacy from Karl Lagerfeld! 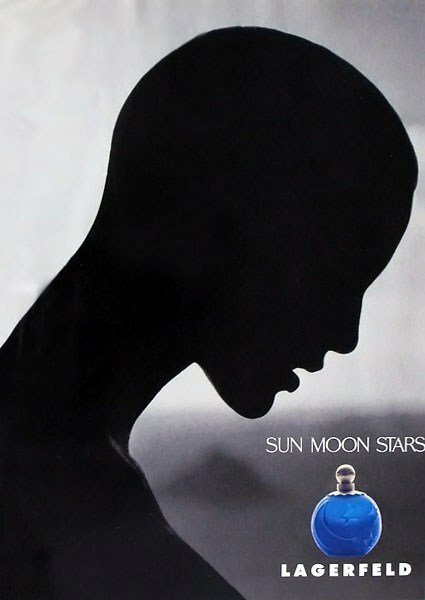 Karl Lagerfeld's Sun Moon Stars was my signature scent for years, from the year of it's release when I was gifted a generous 3+ ounce bottle that Christmas. I fell immediately in love. This is a gorgeous fragrance, very complex, long-lasting, undeniably and unashamedly FEMININE (yes, all caps required). Of course, it's been discontinued, which is a profound tragedy. I have two full 1.7 ounce bottles and a rare parfum mini that I will use on rare ocassion given it's DC status. In the meantime, for regular use as a replacement, I wear one of two Elizabeth Taylor fragrances: Diamonds and Sapphires (the fruitier body-double for SMS) or Diamonds and Rubies (the spicier of the two doppleganger scents), both of which are exceedingly attainable and affordable. C'est la Vie, my beloved Sun Moon Stars, I will always love you. Her name was not Annabel Lee, but the one which exemplifies beauty since antiquity and brought Troy to its knees. And I guess her sparkling aura was the sun missing from E.A.Poe's immortal elegy. The lodestar of five wonderful years of my life has stopped twinkling. And the perfume which was once the epitome of immense tenderness and fearless devotion has now become a lachrymose memento mori. She was living in Sweden for some years now. I believe she somehow belonged there, for, despite coming from the easternmost part of the Mediterranean, she was a tall blond green-eyed Valkyrie. I still remember the day when she stormed our tiny appartment some 20 years ago, looking forward to show me her newfound objet d'art. She was like a night witch caught red-handed in broad daylight with a blue sphere of rather questionable intents in her hands. I couldn't help but admit that what she was holding looked and smelled so very beautiful, but still, I asked her what was it that she found so irresistible about it. "First of all its name keeps my alien heart dreaming. Then, I love the idea of holding a tiny cerulean cosmos in my hand and be its ruly queen. Oh, and this is where I shall be roaming when I'll leave this planet...in a hundred years from now." She left at 42, 80 years short of her giggling expectation. I guess she could no longer resist the skies beckoning her. She fought bravely till the end. I sank in a corner, rerunning the reel of our time together in the theatre of my mind. Drowsy mornings, lazy noons, wistful evenings, tender nights, quirky days, sweet cravings, hilarious fights, all reeking with Sun, Moon, Stars, the perfume she loved the most. I won't label it as her signature, for her true signature was her mere existence, knocking silly my enamoured heart. When I raised my head anew the night had already began to unfold its inky, condoling tentacles all around me. I can't recall another time of my life being spent in such an "idle" way but I guess I can't recall such a cataclysmic downpour of memories either. I sprayed some of her tiny cosmos on me and hit the streets, melting in the warm Greek summer night that she will never feel again. I'm sure she'd never want me to shed a tear for her, but this is her only wish that I find impossible to grant. Do you remember "KL" by Lagerfeld? It used to compete with "Opium" - and imho, it smelled even better than the famous scent by YSL. When you look at the list of perfumes launched by Lagerfeld, there are only a few which really made it to the top. "Chloé" from 1977, his very first fragrance, is still available, but was reformulated. And then there is "Sun Moon Stars", marketed by Coty and still more or less the same as it used to be when it was first released in 1994 - twenty years ago. Clearly a 90's creation composed by Sophia Grojsman. She did "Eternity", "Trésor", "Beautiful", "Sotto Voce", "Lalique de Lalique", "Kashaya Kenzo", "True Love" (Arden) and YSL's famous "Paris"- plus "Yvresse/Champagne", also by YSL. All the fragrances I mentioned here are strong and so is "Sun Moon Stars". Actually, it's simply a matter of whether powerful, multi-facetted flowery fragrances appeal to you or not. If they do, give "Sun Moon Stars" a try. Of course, the smell of "Sun Moon Stars" comes a bit as a shock when you compare it to transparent, light creations of the 2000's years. "Sun, Moon, Stars" is a potent cocktail, sweet and somehow artificial, especially in the beginning when the top notes explode with pineapple, peach and rose. The heart offers a floral firework which I can't really analyze with my nose: carnation, orris root, jasmine, lily-of-the-valley, orange blossom, orchid... - brash and bright, very sirupy and quite gourmand. Not many women feel comfortable in "Sun Moon Stars", but it is a fragrance with long-lasting presence and it does smell pretty unique! Under its sweet exterior, there is an infiltrating, seductive side that only a genius like Sophia Grojsman was able to create. Still the best Lagerfeld-scent on the market since the discontinuation of "KL". Sun Moon Stars is a perfectly apt name for this lovely perfume. It is a red and purple scent at the same time with the white note of rice brilliantly yummy in the middle. For me the peach, rice, pineapple, and the freesia dominate the top notes. The addition of rice, I think, is what made this perfume incredibly unique and almost edible from the first spritz. The heart is sweet floral notes lead by heady carnation and true jasmine. The sandalwood and vanilla in the base notes make a gourmand finish. Sillage and projection is excellent. You also may need to go light on the dose since it is a very strong scent. With this perfume, you WILL be noticed! Make sure to test first to ensure skin chemistry since it is quite the rich olfactory cocktail. I see this as a "special occasion" or "romantic" perfume rather than everyday/general/office use. I *finally* laid my hands on a sample vial of SMS after resisting a blind buy for the last few months. Boy am I glad I resisted. This floral is definitely not for me. On me, the opening is very synthetic. At first, the aldehydes reek havoc, then the jasmine gets cloying. A fruit-floral-woods progression is absent. I faintly smell a powdery wonderfulness and occasionally get visions of dancing daffodils, but it's not enough for me to give SMS another chance, even if it smells great on paper. I just don't have the chemistry required for Sophia Grojsman's blends. If you're like that too, you might just save yourself some trouble and cross SMS off your test list. I smell the comparison to Eternity, but to my nose this is CK-Eternity with a hint of candy and a softer and more sensual dry down. Where CK-Eternity is very citrusy and loud, Sun Moon Stars is more softer and powdery. Perfect for those who like it more sensual and not in your face, or who adore CK-Eternity and like to have two different versions. I have both, and use them according to mood. And the bottle is very pretty which is always a bonus. Because Sun Moon Stars has been on the market since the early nineties, and is an acquired taste (I guess?) its been forgotten by most. This suits me just fine, when I wear it, hardly anybody smells like me. That the price has dropped to a steal makes it also very desirable. A classic that is underrated and is just as pretty as the bottle when your chemistry and nose agree. A pretty and affordable keeper. dreamlike and lucent feel closes the top layer. a bit but i can dectect a faint amount of Amber. I discovered Sun Moon Stars when I sadly found out that Laura Biagiotti's "Sotto Voce" had been discontinued just when I first fell in love with it. I liked the fudgey sweetness, the flavour of toasted and candied almonds mixed with roses, and I found some of it in Sun Moon Stars. Maybe not surprisingly, since both were created by Sophia Grojsman. Sun Moon Stars has an artificially sweet chewing gum note I don't like that much. Still it is a wonderful fragrance for my "sweet days". 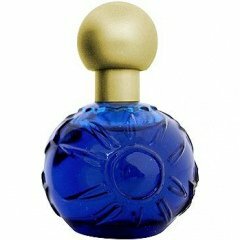 Write the first Review for Sun Moon Stars (Eau de Toilette)!